This is a four CD box set. 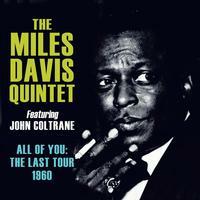 It’s got some great performances from the final tour of the Miles Davis Quintet with John Coltrane. Apparently all of these discs have been released before, but in sort of spotty fashion. So, it’s good to have them all as one box. I should note that my copy is a barebones review copy. I’ve got a booklet here and the discs. So, I can’t really comment on the packaging, other than to say that the booklet alone is pretty cool with pics and a lot of text. I have to admit that sitting to listen to this start to finish, it gets a bit repetitive, particularly since there are multiple performances of virtually every song. That said, this is well wroth having, and a great set. I will say that Coltrane’s soloing a lot of times was a little hard to take. It tended toward noisy and abrasive. Starting with piano, this cut quickly grows out from there. It’s an energetic and fun jazz jam. It gets pretty powerful during some of the horn soloing. 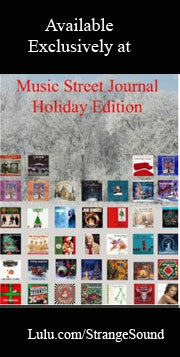 The piano solo is also particularly noteworthy. Although somewhat less energized as the previous one, this doesn’t lack any of the magic. There is definitely a healthy dosage of blues built into this. I love some of the piano soloing on the piece. It has a lot of drama and charm in the way it shifts and works through varying sections. I really love some of the horn melodies a lot, too. I love the sound of the piece that opens this. The melody is one of my favorites here. There is such a catchy groove to this. It gets some inspired soloing, too. This is what it says it is, a short interview. It seems to me that it would fit better at the beginning or end of this, than right in the middle. Here is another version of the opening song. This one comes from the second show the same day. I definitely prefer the previous version because some of the soloing here seems to lack direction to me. It’s too repetitive, too. That said, though, there is some pretty inspired piano playing on this. I love the energy and the melodies on this one. It has some great soloing, too, but that’s a given. There are some moments where it moves towards the noisier soloing of the previous cut, though. The piano solo stands out nicely here. This has some pretty awesome soloing, if you ask me. It does wander a bit towards the noisy end of the spectrum at times, but it works better than that does at other points. It really screams at times. This has a lot of energy and some killer shifts and turns. It’s one of my favorites from the whole set. Give the amount of material here, that says a lot. Here we get another version of this song. It’s energetic and quite a strong telling. In fact, I think I like this better than the other two. There are some pretty amazing passages here where the whole group seem to just really gel exceptionally well. This is what jazz should be. By this point we’re into almost all repeats. This one feels quite inspired and really works well. It’s great jam that has some inspired soloing. Again, the piano solo is exceptional. The fast paced, piano heavy section mid-track is stellar. I also love the bass solo that follows it. Although you can only differentiate these various versions so much in writing, each has its own flavor. This one is quite strong. It’s got some killer drumming and really works extremely well. The soloing does land a bit far toward the noise end of the spectrum at times, though. They keep jamming on the fadeout here. The sound quality here seems a little muffled. The bass player is purely on fire as this kicks into gear. In some ways, despite the slightly lackluster recording, this thing is really on fire. It is one of the best performances of this piece here. Here’s one we haven’t heard before. I love the tempo and groove on this thing. The melodies are great. It’s a slower tempoed number, but loses nothing but speed. The sound quality isn’t the best we’ve heard on the set. I really love the rhythm section on this piece, probably more even than the melody instrumentation. It seems to cut off in the middle of it. Here is yet another version of “So What.” The soloing gets pretty loud on this, but tends to avoid wandering into the noisy territory. This is a strong version. The piano solo section in particular stands tall. We haven’t had a version of this number before on the set, although there is one on the fourth disc. This has a great bluesy, mellow jazz vibe to it early. It tears out into some scorching jazz as it continues. Here’s another new disc. Again, there is a version on the fourth disc, too. This is an energized jazz tune with some great melodies and soloing. Some of the soloing does get a little out there and noisy, though. The soloing gets a bit noisy and overbearing on this version of the piece. This is definitely not my favorite rendition of this cut. It does have some cool moments, though, particularly when it turns to mellower territory for a time. There’s not another version of this number on the whole set. This is a real jazz powerhouse jam. It’s a lot of fun. This has some great piano work. A mid-tempo number, this has some of the coolest interplay of the whole set. There is a lot of instrument dancing around instrument. I love the bass solo on the tune. The penultimate version of this song on the set, this is another fiery rendition. It has some particularly potent soloing in a lot of ways. This really gets pretty intense at times. The bass really drives this through the piano solo. Another high energy stomper, this is great stuff. The band really work well with each other here, too. That said, there are some moments where the saxophone seems a bit harsh. The first of two versions of this piece, this is less than a minute in length. Here is the final version of this piece for the set. It’s a solid rendition. It’s not a huge departure, but works well. Here is the final version of this number. It’s another solid rendition. It’s sort of middle of the road in terms of the performances here, though. Coltrane does get rather noodly at times here. I think this killer jam might be my favorite performance here. The sound quality isn’t as good as some of the rest, though. A high energy number at the start, the sound quality here is also not quite up to the level of a lot of the earlier stuff. I love the bass playing on this thing. Some of the saxophone soloing later in the piece, though, gets a little over the top as far as I’m concerned. Here we get another rendition of the short cut we heard before.